Why is this blog called “Bentham’s Gaze”? Jeremy Bentham (1748-1832) was an philosopher, jurist and social reformer. Although he took no direct role in the creation of UCL (despite the myth), Bentham can be considered its spiritual founder, with his ideas being embodied in the institution. Notably, UCL went a long way to fulfilling Bentham’s desire of widening access to education, through it being the first English university to admit students regardless of class, race or religion, and to welcome women on equal terms with men. Bentham’s Gaze refers not just to his vision of education but also to the Panopticon – a design proposed for a prison where all inmates in the circular building are potentially under continual observation from a central inspection house. Importantly, inmates would not be able to tell whether they were actively being observed and so the hope was that good behaviour would be encouraged without the high cost of actually monitoring everyone. Although no prison was created exactly to Bentham’s design, some (e.g. Presidio Modelo in Cuba) have notable similarities and pervasive CCTV can be seen as a modern instantiation of the same principles. Finally, the more corporeal aspect to the blog name is that UCL hosts Bentham’s Auto-Icon – a case containing his preserved skeleton with wax head, seated in a chair, and dressed in his own clothes. The construction of the Auto-Icon was specified in Bentham’s will and since 1850 has been cared for by UCL. His head was also preserved but judged unsuitable for public display and so is stored by UCL Museums. Many of the staff and students at UCL will walk in view of Bentham while crossing the campus. 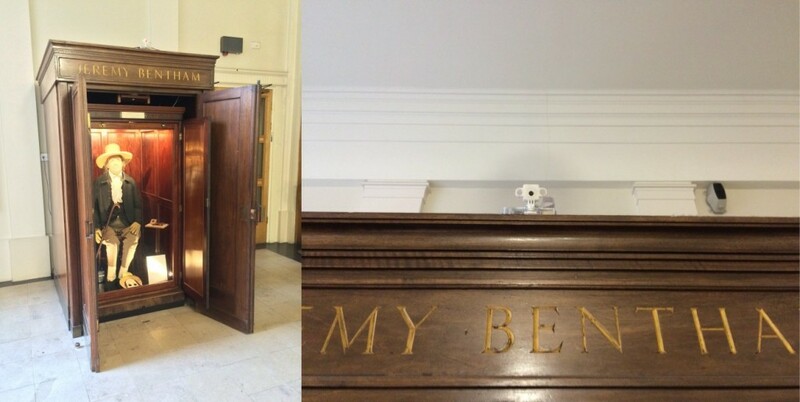 You too can now enjoy Bentham’s Gaze thanks to the UCL PanoptiCam – a webcam attached to the top of the Auto-Icon, as you can see below from my photo of it (and its photo of me). 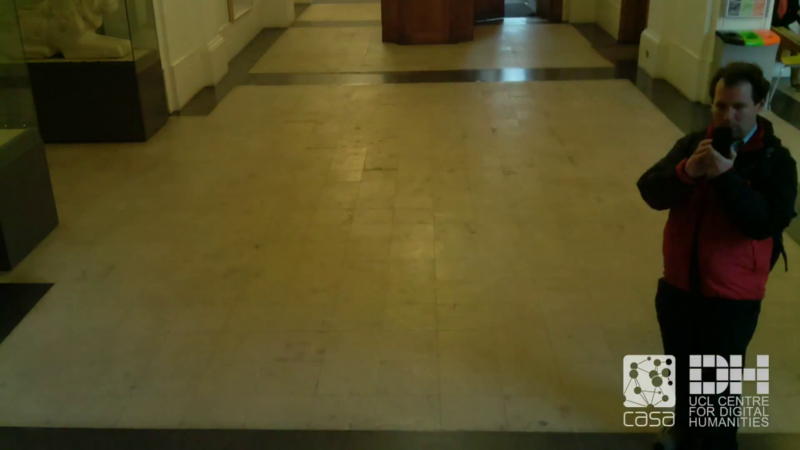 Footage from the camera is both on Twitter and YouTube, with highlights and discussion on @Panopticam. Posted on 2015-03-06 2015-03-06 Author Steven J. MurdochCategories Meta1 Comment on Why Bentham’s Gaze?